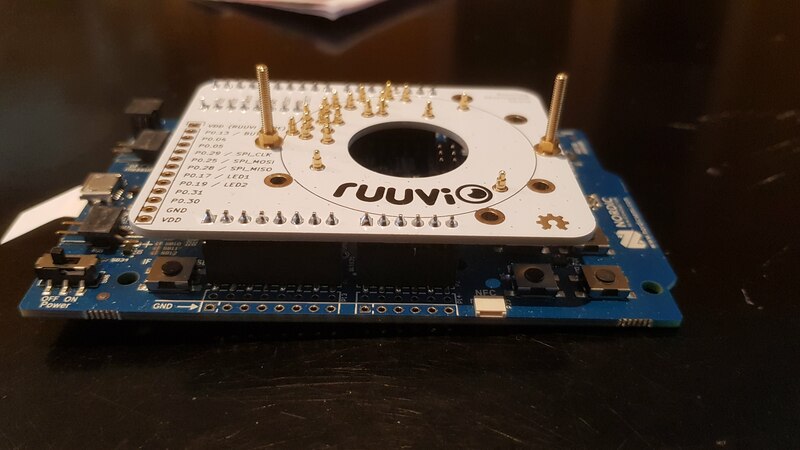 I modeled and 3D-printed a plastic part for attaching a RuuviTag to the DevKit. First I installed two M2x16 screws to the DevShield using two nuts and four washers. 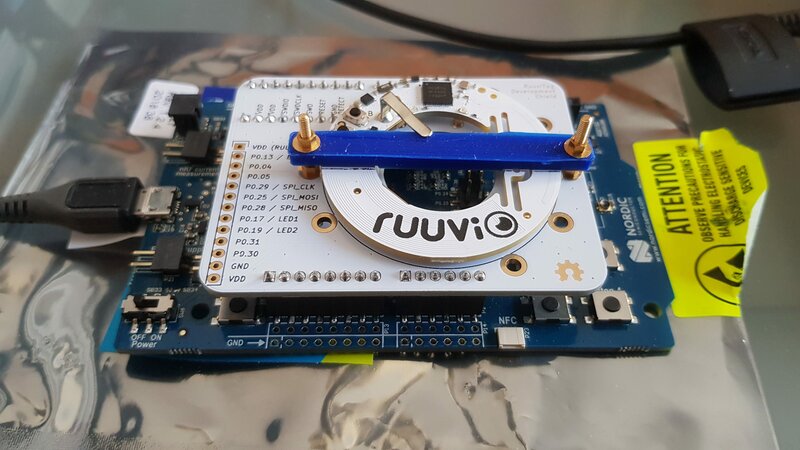 This should be done before attaching the DevShield to the nRF52 DK. And of course the screws can be a little longer or shorter. Then I inserted the printed part under the battery clip of the tag (stays there nicely) and attached the tag + part to the DevKit with two more nuts and washers. If you press the tag and part down a little, no tools are needed for tightening and loosening. I used an Ultimaker ll printer and PLA plastic for printing the part, but the stl file should be compatible with practically any 3D printer for plastics and you can use other materials than PLA as well. Good work, @Tomatic ! Thanks for sharing this.